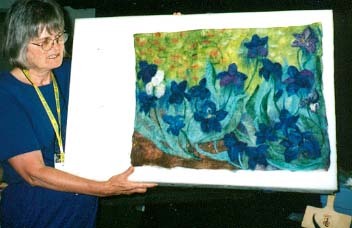 Tess with her Watercolor Inlay Felt from Eugene, 01 workshop. 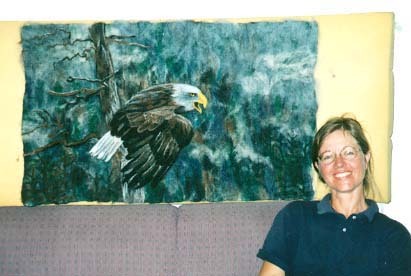 Linnea with her Watercolor Felt, Eugene, 01. 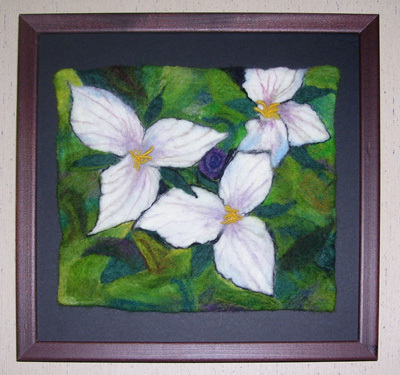 Jeannette's Watercolor Inlay Felt from Eugene, 01 workshop. 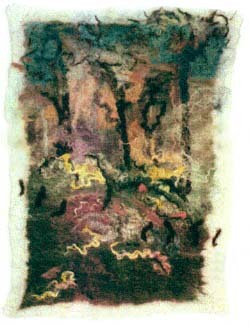 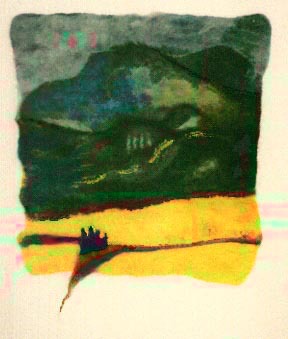 Martha's wall hanging of an Appalachian forest, John C. Campbell Folk School, North Carolina 2001. 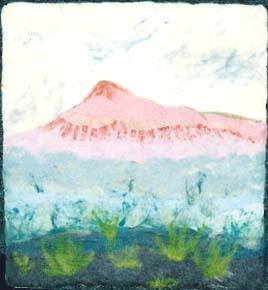 Virginia's Appalachian mountains, John C. Campbell Folk School, North Carolina 2001. 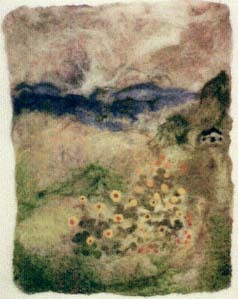 Rita's wall hanging of the sunflower garden at John C. Campbell Folk School, North Carolina 2001.